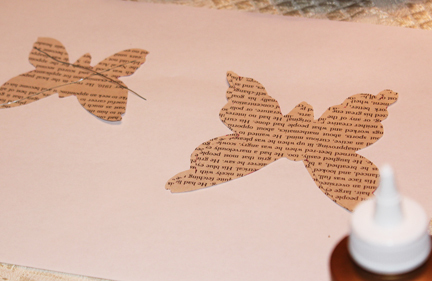 I blogged yesterday about hosting a Butterfly Themed Party recently. 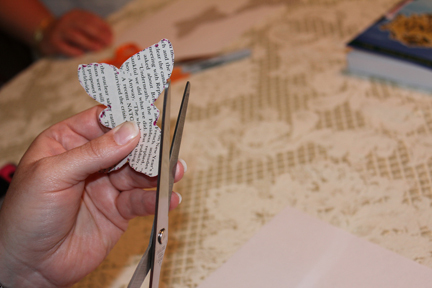 Not one to do things by half-measures, not only was the food and decor butterfly themed, but I insisted those attending join me for a butterfly craft. I hadn’t tried it before, so it was a good thing the process was easy. 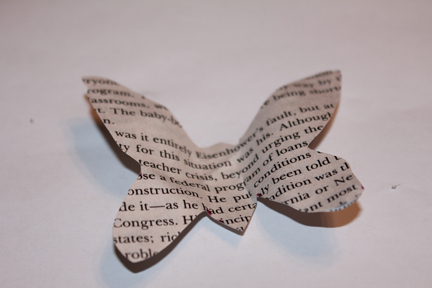 Rip two pages out of the book and, using the cookie cutter, trace your butterfly patter on the page. 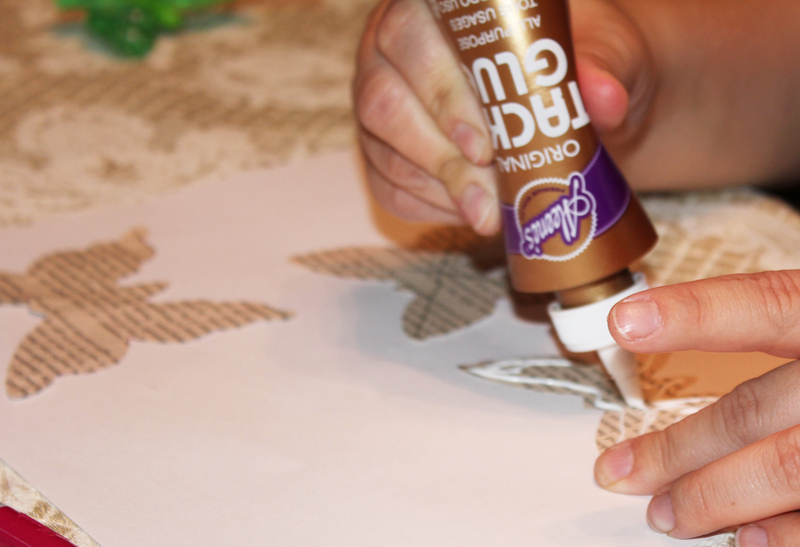 Cut out the pattern, making sure you cut both pages together. Open your butterfly, like you would bread for a sandwich. 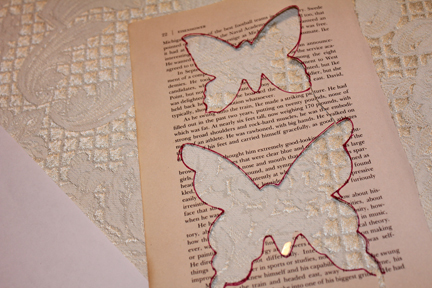 Measure two pieces of wire to lay cross-wise across your butterfly and cut them with wire cutters. Set the wire aside. 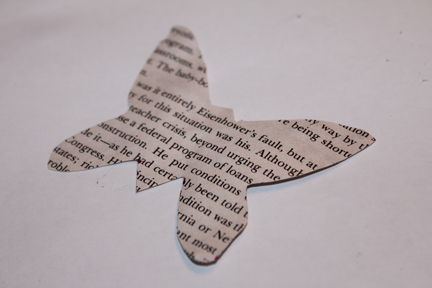 And then you can shape the butterfly however you want. You can give it a light wash with water color, if you so desire, or poke a hole and tie a thread through it if you want to hang it. If you wanted to make dozens of these and string them together, they’d look really cool hanging from the ceiling. Set these on a bookshelf, tuck into a corner. I bet if you make one, you’ll find yourself wearing a big ol’ grin when you look at it!